As we move toward the fifth anniversary of the great financial crisis of 2008, people should be outraged that cutting Social Security is now on the national agenda, while taxing Wall Street is not. After all, if we take at face value the claims made back in 2008 by Fed Chairman Ben Bernanke and former Treasury Secretaries Henry Paulson and Timothy Geithner, Wall Street excesses brought the economy to the brink of collapse. But now the Wall Street behemoths are bigger than ever and President Obama is looking to cut the Social Security benefits of retirees. That will teach the Wall Street boys to be more responsible in the future. Most people are now familiar with President’s Obama’s proposal to cut Social Security by reducing the annual cost-of-living adjustment (COLA). While the final formula is somewhat convoluted, the net effect is to reduce benefits by an average of roughly 3.0 percent. Since Social Security benefits account for more than 70 percent of the income of a typical retiree, this cut is more than a 2.0 percent reduction in income. By comparison, a wealthy couple earning $500,000 a year would see a hit to their after-tax income of just 0.6 percent from the tax increase that President Obama put in place last year. While President Obama is willing to make seniors pay a price for the economic crisis, his administration is unwilling to impose any burdens on Wall Street. Specifically, it has consistently opposed a Wall Street speculation tax: effectively a sales tax on trades of stock and derivatives. The Obama administration has even used its power to try to block efforts by European countries to impose their own taxes on financial speculation. If the idea of taxing stock trades sounds strange, it shouldn’t. 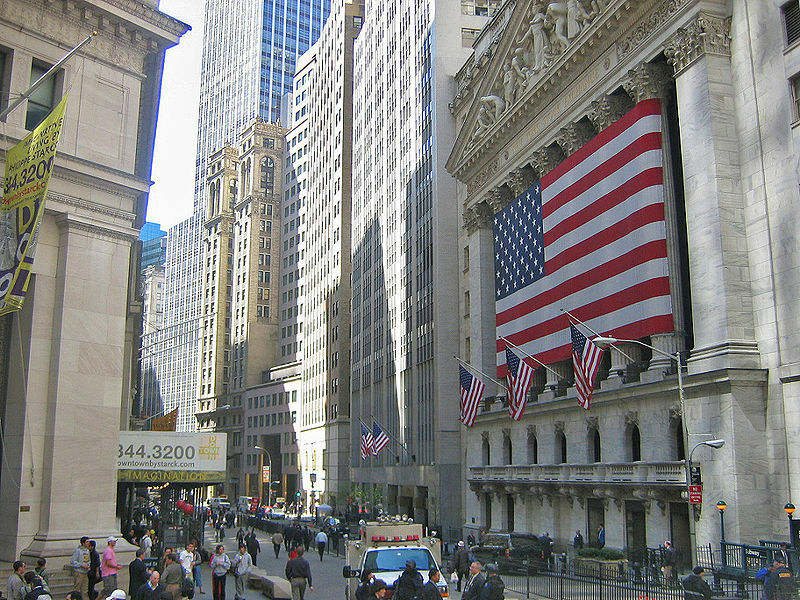 The United States used to impose a tax of 0.04 percent until Wall Street lobbied to eliminate it in the mid-1960s. Many countries, including the United Kingdom, Switzerland, China, and India already impose taxes on stock trades. The tax in the UK is 0.5 percent on stock trades (0.25 percent for both the buyer and the seller). It dates back more than three centuries. The country raises more than 0.2 percent of GDP ($32 billion in the United States) from the tax each year. The tax has not prevented the London stock exchange from being one of the largest in the world. There are currently two bills in Congress for a similar tax in the United States. A bill by Minnesota Representative Keith Ellison would impose the same tax as the UK on stock trades and would apply a scaled rate to options, futures, credit default swaps and other derivative instruments. It could raise more than $150 billion annually or more than $2 trillion over the ten year budget window. A second bill has been put forward by Iowa Senator Tom Harkin and Oregon Representative Peter DeFazio. This bill would apply a 0.03 percent tax to trades of stock and a wide range of other financial assets. According to the Joint Tax Committee, the bill would raise close to $40 billion a year or over $400 billion over a ten-year budget window once it is implemented. Unfortunately the administration has consistently opposed both bills. It claims that it is concerned about the incidence of these taxes — that ordinary investors would see large burdens from the tax. It also claims to be worried that the taxes will disrupt financial markets by making trading more costly. Neither of these stories passes the laugh test. Ordinary investors don’t trade much, and therefore are not going to feel much impact from the tax. If someone with $100,000 in a 401(k) (this is much larger than the typical 401(k)) turns it over at the rate of 50 percent annually, they would pay $15.00 each year as a result of the Harkin-DeFazio tax. Furthermore research shows that investors reduce their trading as costs increase. This means that if the tax increases trading costs by 20 percent, then investors will reduce their trading by roughly the same amount (in this example, turnover would fall to 40 percent annually). That means that the net cost of turnover in a 401(k) will barely change for a typical investor as a result of the tax. Wall Street would just see much less business. So the Obama administration wants us to believe that it is willing to cut the Social Security benefits of retiree living on $15,000 a year in Social Security by $450 but it opposes a Wall Street speculation tax because it is concerned that investors with $100,000 in a 401(k) may pay a few dollars a year in additional trading costs. Only a reporter with the Washington Post would believe a story like that. The other part of the Obama administration’s story is equally laughable. The cost of financial transactions has plummeted in the last four decades because of computers. Even the Ellison tax rate would just raise costs back to their mid-’80s level. The Harkin-DeFazio tax rate would probably still leave costs lower than they were in 2000. The country certainly had a vibrant capital market and stock exchange in the 1980s, taking costs part of the way back to this level will not prevent Wall Street from serving its proper role of transferring capital from savers to borrowers. It will just clamp down on speculation. The basic story is very simple. Wall Street bankers have a lot more political power than old and disabled people who depend on Social Security. That is why President Obama is working to protect the former and cut benefits for the latter.